Toronto: University of Toronto Press, collection "Romance Series", 2017. 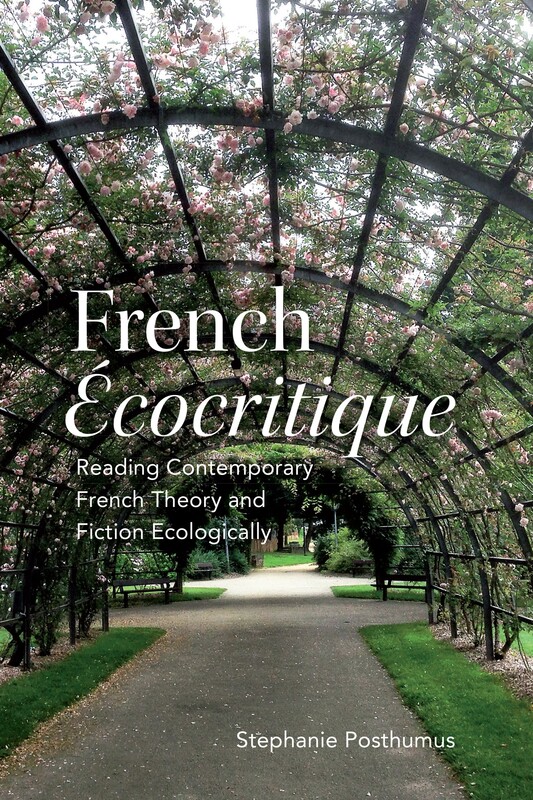 French Écocritique is the first book-length study of the culturally specific ways in which　contemporary French literature and theory raise questions about nature and environment. Stephanie Posthumus’s ground-breaking work brings together thinkers such as Guattari, Latour, and Serres with recent ecocritical theories to complicate what might otherwise become a reductive notion of "French ecocriticism." Working across contemporary philosophy and literature, the book defines the concept of the ecological as an attentiveness to specific nature-culture contexts and to a text’s many interdiscursive connections. Posthumus identifies four key concepts, ecological subjectivity, ecological dwelling, ecological politics, and ecological ends, for changing how we think about human-nature relations. French Écocritique highlights the importance of moving beyond canonical ecocritical texts and examining a diversity of cultural and literary traditions for new ways of imagining the environment.